While it’s not uncommon for our favorite artists to collaborate with another artist on various projects, sometimes the strangest relationships often occur that have us doing a double take. While the old saying is, “opposites attract,” sometimes things can get a bit weird while other times, as peculiar as it sounds, it may actually work out. 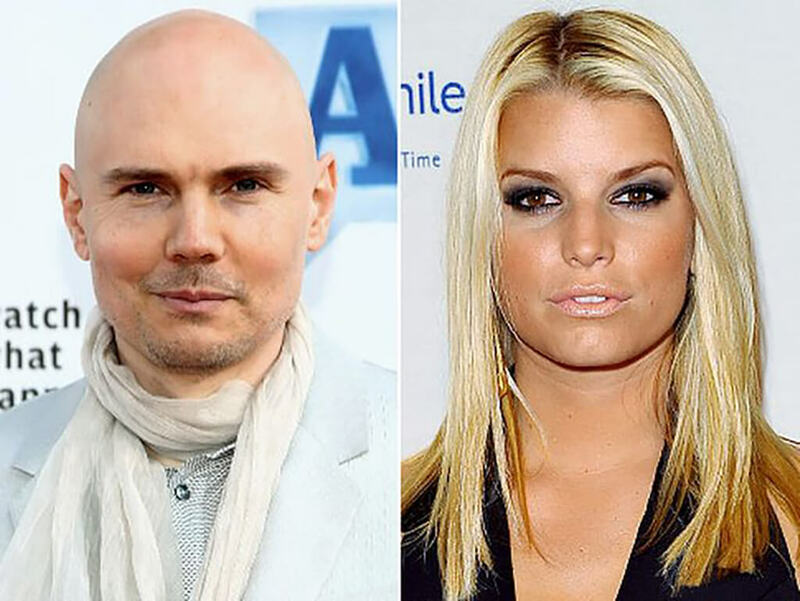 We did some digging to find out the most unexpected couples in music and even we were quite surprised at what we found, specifically a former boy-bander with a certain tough girl with pink hair, or a 90’s alternative rocker with a 90’s pop princess? The possibilities, we’ve learned, are endless. 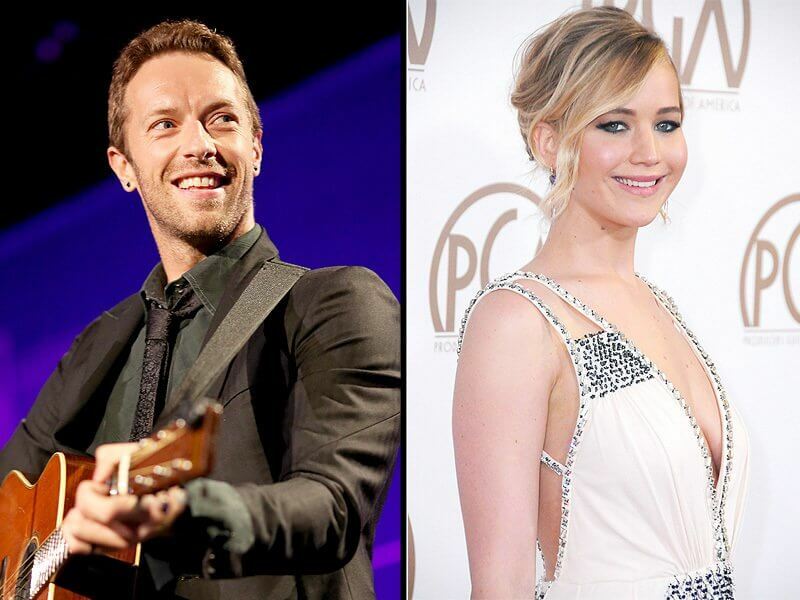 After Coldplay’s Chris Martin’s heart wrenching divorce from Gwyneth Paltrow, we were quite surprised to see him out and about with The Hunger Games star, Jennifer Lawrence. The on-again-off-again couple were linked together for about a year but due to Martin needing time to spend with his family while working with his busy work schedule, their romance was short-lived. Sources say age differences may have played a part, and that Lawrence was tired of him being so noncommittal, but never say never for a possible reunion in the future. At first, when these two started dating after both being coaches on NBC’s The Voice, fans were all pretty shocked. As odd as it may be, the pop-rock queen and the country star are quite adorable together. They also have a ton in common. Aside from them each being at the top of their respective genres, they may have bonded over their divorces. 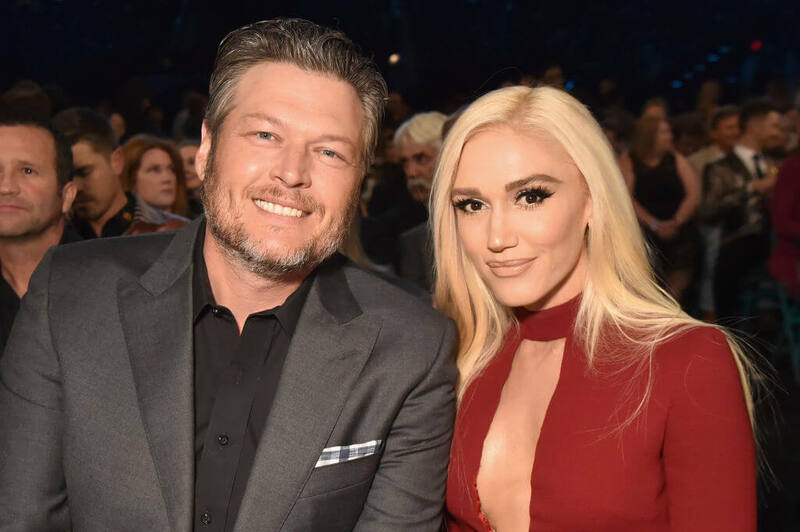 Gwen split from husband Gavin Rossdale while Blake split with country star Miranda Lambert, and they may have been leaning on each other for emotional support. Marriage and baby rumors are flying but only time will tell! 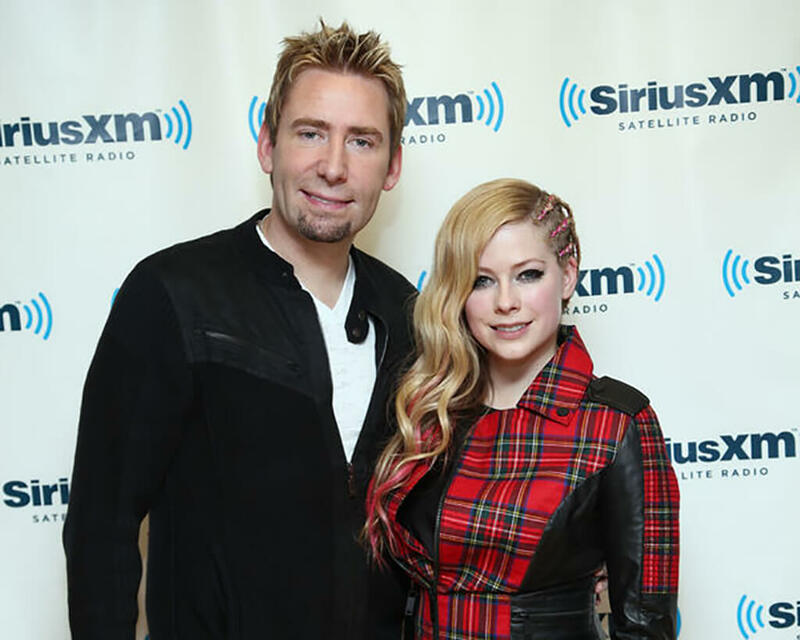 If there was one relationship we just didn’t understand, it was the marriage between pop-punk queen Avril Lavigne and Nickelback frontman Chad Kroeger. While the marriage may have lasted for two years, their split was amicable. Lavigne even defended her ex-husband after Facebook’s Mark Zukerberg dissed Nickelback’s music back in 2016. She posted to Twitter, “Many people use your products — some people love them and some people don’t. Either way, you’re allowed your musical opinion however, your jab at Nickelback is in poor taste.” Ouch! After a fan in the comments asked if the two were dating, she replied, “Yes,” while Em later chimed in, “Girl, you know it’s true.” So, is there a new rap super couple? Well, not so fast. Em later teased at a show in Boston that he may be interested. We’ll see how this plays out. 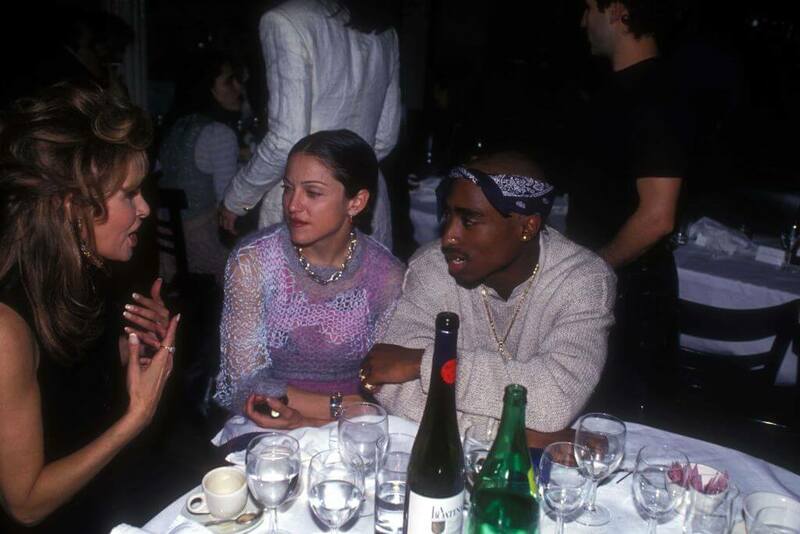 Madonna is known for her eccentric behavior so when fans found out in 2015 that she dated rapper Tupac back in the mid-nineties, so many questions arose. An uncovered letter from the late star revealed that race was the big factor to their breakup. The letter was reportedly penned during Tupac’s time served at Clinton Correctional Facility for sexual abuse charges, dated January 15, 1995. The Good Charlotte rocker and actress have both been linked to some interesting choices but we never thought these two would end up together. Madden and Diaz married in 2015 and sources say that this is the romance that really made her feel as if he came into her life at the right time, feeling like she was finally on even ground. Clearly, these two believe in life after love! Back in 2013 on Watch What Happens Live, Cher admitted to host Andy Cohen that Tom Cruise was in her “top five best lovers.” Whaatt?! The singer went on to describe Cruise as a “great, lovable guy,” while revealing that their relationship (which took place in the mid-1980s) had gotten pretty “hot and heavy” back in the day. We guess if she could turn back time she’d still be dating Tom Cruise, eh? OK, we’re done with the puns.. Pop darling Britney Spears has dated a lot of questionable guys during her career but once news broke in 2003 about her relationship with actor Colin Farrell, nothing made sense. While the Dublin native wooed America with his Irish charm, insanely good looks, and wild antics, Spears was the last person we thought he’d hook up with. Or, maybe not? Despite the major PDA, both were incredibly coy about the relationship, even dodging rumors about a possible publicity stunt. Their flirtation later fizzled out, but imagine what that would have been like if they had stuck it out! 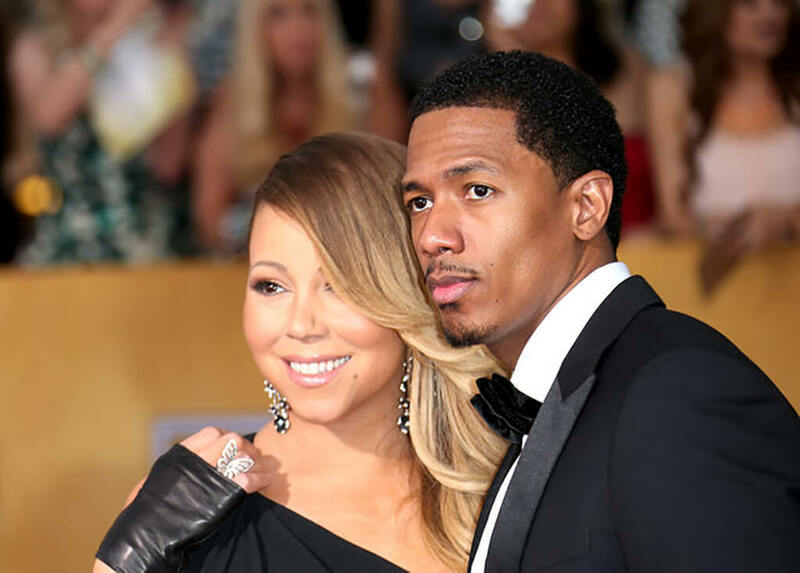 The overall consensus of the whole Mariah Carey and Nick Cannon relationship went from ‘WTF’ to ‘OMG how cute are they together? !’ The couple married and had twins but later divorced after six years of marriage. They’re both still supportive of one another and it’s quite obvious they had something really special together. While the eleven-year age difference may have played a role in the couple’s divorce, celebs are here to prove that age ain’t nothing but a number and true love always remains. We wish them the best. You might be familiar with G-Eazy’s current flame, Halsey, but turns out the rapper dated Lana Del Rey shortly before his public relationship with the Hopeless Fountain Kingdom singer. After meeting at Coachella in April, the couple broke things off in September 2017, later leading Del Rey to have some pretty public rants on stage about the rapper. It is also rumored that her songs “White Mustang” and “In My Feelings,” off the singer’s 2017 Lust For Life album are about the G-Eazy, while sources say that “Him and I,” G-Eazy’s smash hit with Halsey, was originally set to have Lana on vocals. So much drama! Let’s just enjoy the music. Okay, this one we can actually get behind if we didn’t already love JT with Jessica Biel. Turns out, Fergie and Timberlake dated back in 1998. Fergie downplayed the whole thing, saying that it wasn’t that serious. The pair later collaborated on The Black Eyed Peas 2003 track, “Where Is The Love?” but it was three years after the song’s release that Fergie opened up about the brief fling to Cosmopolitan. As if we didn’t already love him to pieces! The ice cream, though! Too cute! Pink later married Carey Hart. Pop icon Janet Jackson and actor Matthew McConaughey reportedly had a fling after meeting at the 2002 GRAMMYs. Some reports even say that he was spotted the next morning leaving her house carrying his shoes. Janet has hinted that the rumors were true while McConaughey later stated, “I met her at the GRAMMYs and found her to be a very, very sweet lady. We swapped some good music and she’s a dear lady. She’s a sweetheart but we’re not dating, we’re just friends.” Hmm. Guess we’ll never know. Well this one threw us for a loop. Actor Shia LaBeouf admitted that he had hooked up with singer Rihanna back in 2007. Though the affair was brief, we can’t help but imagine what that pair would have been like, considering ’07 was the height of Rihanna’s “Umbrella” days. “It never got beyond one date. The spark wasn’t there,” shared LaBeouf in 2009. “We weren’t passionate about each other in that way, so we remain friends.” Clearly, separating amicably is the way to go. The lovely Camila Cabello is always so bubbly and full of good vibes so it is only natural that her beau is all of those things and more. But as much as we’re intrigued by her current relationship with dating expert Matthew Hussey, we can’t help but wonder how on earth these two got together. 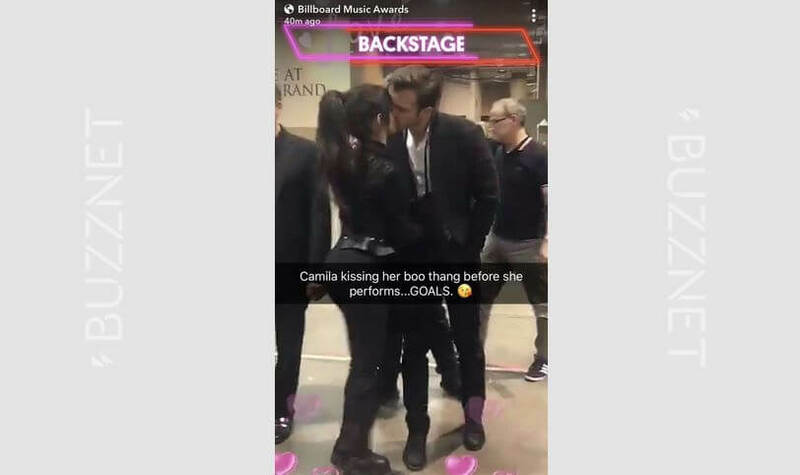 While the singer keeps her private life to herself, she basically made their relationship official when caught smooching Hussey backstage at the 2018 Billboard Music Awards before her performance. Billboard captured the special moment and shared it to Snapchat, though it has been questioned if the two knew they were on camera. Leave it to Kim K to get the cameras involved. Turns out, Nick Lachey went out on a date with the reality star back in 2006, but the fame-hungry Kardashian just couldn’t help herself as she somehow managed to call the paparazzi. Lachey shared this anecdote with Details magazine in 2013, stating, “Let’s just say this: We went to a movie. No one followed us there. Somehow-mysteriously-when we left, there were 30 photographers waiting outside.” Looks like some things never change. Taylor Swift has dated some worthy gentlemen but her fling with actor Tom Hiddleston still has us scratching our heads. Months after her breakup with EDM star Calvin Harris, Swift eventually put an end to her 12-week whirlwind of a fling with Hiddleston in September 2016. Reportedly, Swift’s track, “Getaway Car,” featured on her 2017 release, Reputation, chronicles her reasoning for leaving Harris to start a fling with Hiddleston, later realizing both were bad ideas. It all worked out in the end as we now see Swift madly in love with current flame, Joe Alwyn. Yet again, another huh? moment…yet oddly enough, these two look quite adorable together. After news recently broke that the Quantico star was dating Nick Jonas, fans went into a frenzy, dying to uncover any new details they could find on this budding romance. An insider has shared that the two stayed in touch after hitting it off last year, but they’re keeping it casual for now. Last year, the two posed together at the MET Gala, but Chopra later explained that they were merely both dressed by Ralph Lauren so decided to hang together. There may be a 10 year age difference here but this might actually turn into something. You might be surprised to learn that actress Laura Dern and musician Ben Harper were married for five years and had two children. The two met at one of Harper’s concerts in 2000. Dern was reportedly ‘blindsided’ by the entire divorce, as she read about the end of her relationship in the newspapers while away filming.